Roofers specializing in Flat Roof Leaks, Flat Roof Repair, Roof Leaks, and all other Flat Roof Services in CT. Call 1-888-766-3020 for a Free Commercial Roof Quote today! 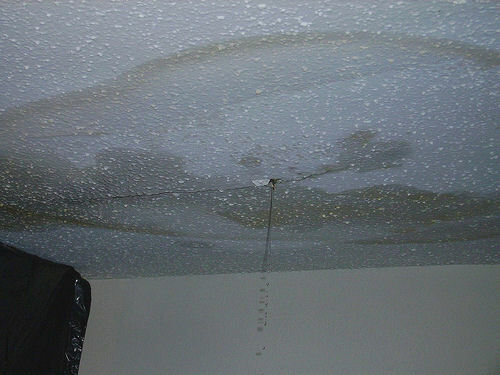 Roof leaks can happen on any type of roof for a number of reasons. If you notice any roof leaks or damage on your flat roof then act quickly and call New Roof Connecticut right away at 1-888-766-3020. 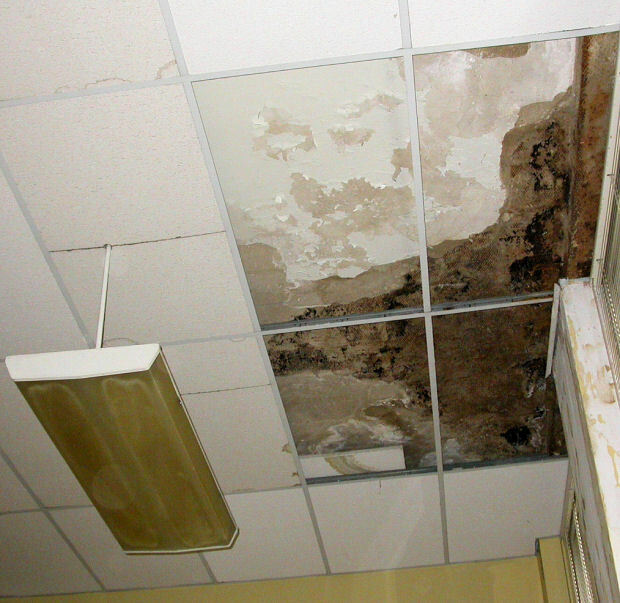 It is recommended to respond to roof leaks as soon as possible before the damage gets worse leading to bigger problems like mold and mildew damage which can be very costly to remedy. Our expert roof contractors are Licensed and Insured and have years of experience servicing New Haven, New London, Fairfield, Hartford, Middlesex, Tolland, Windham and Litchfield County detecting and repairing flat roof leaks on all building types and roof systems. We’ve worked with all types of flat roofing systems including EPDM Thermoset Membrane, Asphalt Built-Up Roof (BUR), Modified Bitumen, PVC Thermoplastic Membrane, TPO Thermoplastic Membrane, and CSPE (Hypalon) Thermoset Membrane. Our reliable roof contractors have the solution to your roofing needs, simply complete a Free Commercial Roof Quote to get started. Flat Roof systems are horizontal roofs constructed with a slight incline to prevent water accumulation called "ponding". However if ponding does occur for you and you notice roof leaks then call us right away 1-888-766-3020 for special leak detection service and to repair and stop the leak before it becomes a bigger problem. You can also submit a Free Commercial Roof Repair Quote for advice and service from our flat roof leak repair experts. Finding the source of the roof leak may sometimes be challenging but roofing is our specialty and our expert roofing contractors can detect and repair your roof leak quickly and successfully. Roof leaks can be an inconvenience and headache to deal with but New Roof Connecticut's expert roofing contractors make the repair process as quick and simple as possible and deliver quality and satisfaction to every customer. Other roof construction services we offer in Connecticut are new roof construction, roof repairs, re-roofing, roof renovation, retrofitting, remodeling, preventative maintenance, roof leak repair, waterproofing, flat roofing, metal roofing, tin roofing, metal roofing, copper roofing, asphalt roofing, roof flat, rubber roofing, flat roofing repair, EPDM roofing, PVC roofing, Thermoset Membrane roofing, Thermoplastic Membrane roofing, Modified Bitumen Membrane roofing, commercial roofing repairs, roofing shingle, roof truss, roof insulation, roof cladding, and timber cladding. New Roof Connecticut has the solution to all your roofing needs so request a Free Commercial Roofing Quote today or call 1-888-766-3020.